I love soap as much as the next person but these soaps look wonderful. Face it we all need soap and why not try some of Angela's. 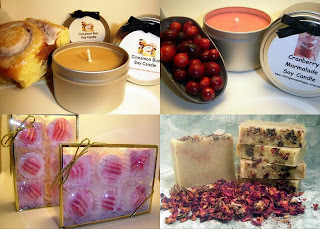 She has soaps, candles and bath products in her Etsy and ArtFire shops. She is a professional pastry chef and has been making hand made soap for years. She started a soap business 3 years ago due to the urging of friends and family. She started out doing retail and have expanded into the wholesale market. Her vendors are supportive of her creativity and request her soap cakes. She loves doing them as they are a lot of fun. She incorporates her love for the pastry arts and soap making in one. Her biggest reward is when she hears such wonderful comments about her soap. Her specialty is her heavy cream and goatsmilk soaps. 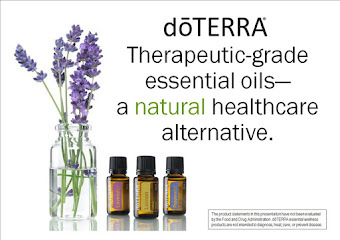 She uses local sustainable products in her soap business and loves researching for the best and most purest essential oils, herbs, bontanicals, roots and spices. Using the purest, freshest ingredients is very important to Angela as you have to start with the best ingredients to get the best product. See Angela's blog at http://www.vintagesoapshoppe.blogspot.com/ and her products at http://www.etsy.com/shop/vintagesoapshoppe and http://vintagesoapshoppe.artfire.com/.